This fully illustrated, totally wacky handbook is about an everyman who is afraid of everything! 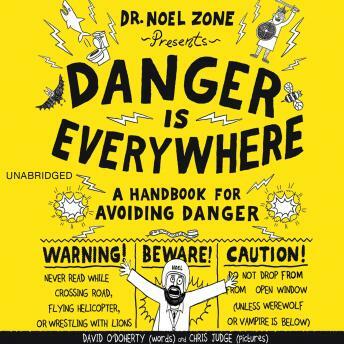 Dr. Noel Zone, the greatest (and only) dangerologist in the world, is ready to teach readers how to avoid danger at all costs--from sneaky snakes posing as toothbrushes, to sharks hiding in toilets, to robots disguised at kindly grandmas. After all, DANGER IS EVERYWHERE, and we we need to be prepared! With art on every page, this hilarious and truly creative handbook will have readers laughing out loud (very safely) from start to finish.